It’s been a long time coming, but the City of Toronto has finally declared the month of June as Filipino Heritage Month, recognizing the contributions of Canada’s fastest growing communities. The Government of Canada estimates that Canada’s Filipino population is now at 851,410. Filipinos can be found making meaningful contributions to every single province and territory in Canada. Toronto, the capital of the province of Ontario and Canada’s most populous city, is home to over 140,000 Filipinos, most living in the Greater Toronto Area (GTA). In marking Filipino Heritage Month, Toronto gives recognition to one of the fastest growing visibile minority groups in Canada. Toronto City Council passed the motion by Councillor Neethan Shan of Ward 42, Scarborough-Rouge River on November 8, 2017. Neethan Shanmugarajah is a councillor for the City of Toronto, representing the riding of Scarborough-Rouge River (which, incidentally, is home to a lot of Filipinos). He’s a good friend of the Filipino-Canadian community, and is working hard at giving them the recognition they deserve. In a unanimous vote (41 yes, with no dissent), the motion passed with support from members of city council from different political affiliations. “I congratulate all those individuals and organizations within the Filipino community in Toronto and around Canada that have been working for a long time for this day to happen,” Shan said in a statement. It was the first time that a motion to recognize the Filipino community was passed at any level of government in Canada. Shan said that he was happy to have done his part in helping the Filipino community celebrate all that they do in making Canada one of the most diverse and multicultural countries in the world. He encouraged both provincial and federal governments to do the same. The motion formalizing Filipino Heritage Month in Toronto came soon after the release of the 2016 Census which showed the number of Filipinos increasing all across Canada. Statistics Canada showed that Filipinos are the fastest growing group in the country, with Tagalog becoming the fastest growing language. The increase was attributed to the number of new immigrants coming into Canada; the Philippines has consistently been the number 1 source of permanent residents for several years, ahead of China and India. The province of Alberta is another popular destination for Filipino immigrants and workers. Over there, members of the Filipino community are lobbying for the month of September to be declared Philippine-Canadian Heritage Month. Fiesta Filipino, the Calgary based organization behind the initiative made the announcement during their Youth Empowerment Program. Alberta is home to over 170,000 Filipinos. Members of the Filipino community in Alberta are enthused about news of celebrating Filipino Heritage Month in the prairie province. Members of the Filipino community in Edmonton are also spearheading efforts to declare June as Filipino Heritage Month. “It is important that we preserve our Filipino Heritage even though we are living in a different country. As we retain our culture and heritage in Alberta, the younger generations will greatly appreciate not only the awareness of their roots but also the utilization of what we are preserving for the benefit of themselves and the future generations,” said Cecilia Camba, who is involved in the Edmonton effort. Different community organizations in Alberta have come together to petition municipal and provincial governments to recognize Filipino Heritage Month. In the province of Quebec, members of the Filipino community have likewise successfully lobbied for the recognition of Filipino Heritage Month. Quebec’s most populous borough, Côte-des-Neiges-Notre-Dame-de-Grâce, unanimously voted to declare June as Filipino Heritage Month. Rise Tribe, a visionary organization working to help lay the foundation for the next generation of Filipino-Canadians, invited members of the community to create the official logo of Filipino Heritage Month. 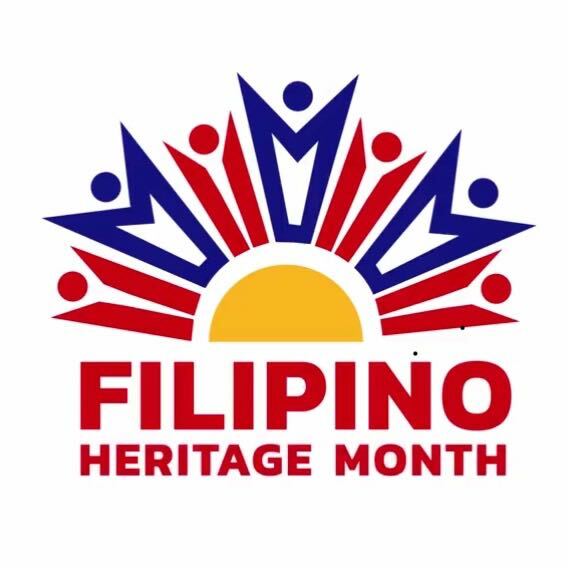 The Filipino Heritage Month logo, designed by Joy Panjaitan, features a stylized sun in the centre, with its rays in the shape of people representing the growing Filipino community in Canada. The Philippine Consulate General in Toronto is hosting events and activities celebrating not only Filipino Heritage Month, but also Philippine Independence Day. 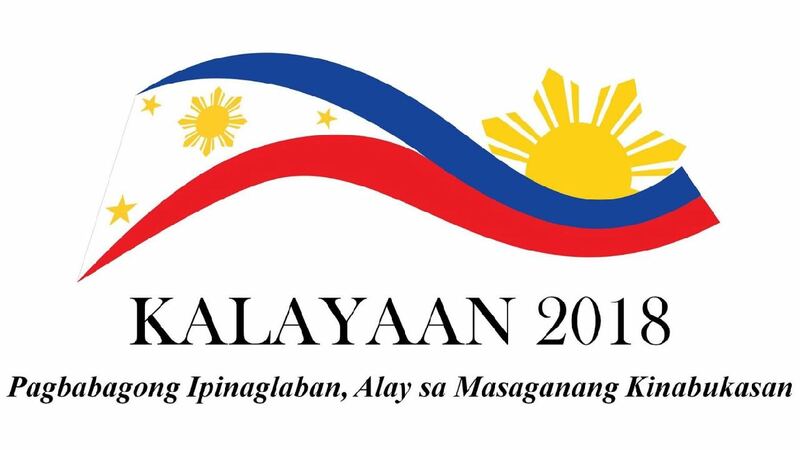 While Toronto is the only city to celebrate Filipino Heritage Month, Canada will be celebrating Philippine Independence Day all across the country on June 12. When is Filipino Heritage Month in Toronto? It’s the entire month of June. It’s the first time to celebrate it this year, so expect plenty of activities every single weekend. Get your friends and family together and celebrate the month with us! 10 June 2018 @ 1:00-3:00 pm.